When the time comes to remodel our home or business, flooring is one of the most requested services. Whether you are switching from tile to carpet, or wood to vinyl, the process all begins with removing the current flooring. That’s where we come in! Dustbusters Floor Removal can assist with expert flooring removal and our service areas stretch From Jupiter to Miami. 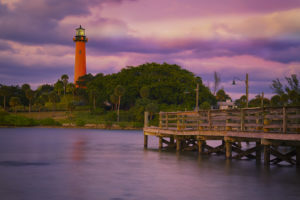 If you’re looking for expert flooring removal services in Jupiter, FL, we can help! It isn’t an easy job for someone inexperienced in floor removal to take on a flooring job by him or herself. By doing it yourself, you’re taking the risk of slowing down the project deadline and most importantly, a toll on health. Removing flooring releases a mass amount of dust. This construction dust often includes dangerous chemicals that can cause damage to the lungs and eyes. Without having the proper safety equipment, this can lead to many dangerous effects. People with back problems or other limiting disabilities should refrain from demolition work as it can cause aches, pains, and sores beyond conditioning. Plus, even those who don’t have medical problems put themselves at risk for injury when taking on a demolition project alone. It is advised that you call expert flooring services as not only do we have the right equipment and process to protect ourselves, we can finish the job as quickly as possible, hassle-free. Excellent Time Management: Our industry-standard equipment make floor removal an easy and quick process. With years of experience in this field, we’ve developed the best methods to conquer tasks in a timely manner. Have a deadline? We can add more time to your project with our fast and easy approach. Absolutely NO Dust: Dust from floor removal can be the hardest part of the job to maintain. As mentioned before, dust can very dangerous to the body. That’s why our team is equipped to safely handle any type of flooring dust. With our top-notch equipment, we seem to manage every flooring job dust-free. Cleanup and Disposal: Included in the price is our fast and easy cleanup. We understand the hassle of throwing out old flooring. That’s why we bring our very own dumpster to your location and we take care of it ourselves. It helps to be one step ahead, and this is just another task you can leave to us to help the process go much more smoothly. 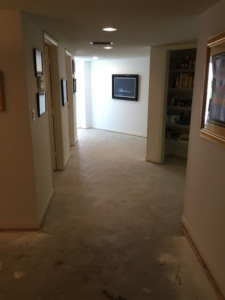 If you are interested in getting a quote for floor removal services in Jupiter, or anywhere else in South Florida, contact us! We provide floor removal services for both residential homes and commercial buildings. Our team of professionals will get back to you with a price that works with your budget. Call us at 866-883-8783 to get started today!